The HVAC industry provides many professionals with rewarding and secure careers. Controlling the internal climate environments of offices, homes, and other spaces is considered a necessity today. In addition to this growing demand, the technology used in HVAC equipment requires knowledgeable and experienced personnel. However, both this technology and other factors mean there are certain occupational hazards and risks that accompany the HVAC profession. Taking time to be knowledgeable about these factors will improve the efficiency of any HVAC firm and its employees while minimizing potentially catastrophic risks. Wiring-related Risks. 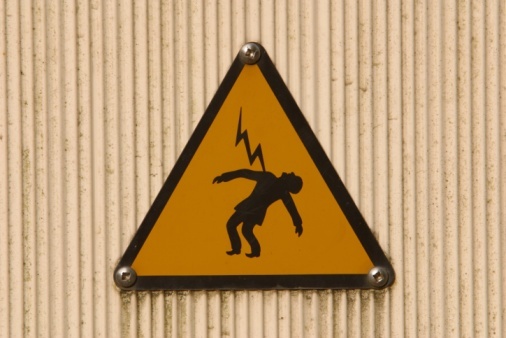 Of course, the primary risk for any electrical equipment work is electrocution. When working with wiring day in and day out, it is easy to become complacent about picking up a cable or wire and attempting to work with it. It is essential to always treat every wire as live and handle all wiring and cabling with the care they deserve. Equipment-based Risks. Specific risks are addressed below, but the very size, weight and complexity of the majority of HVAC equipment presents special dangers to personnel. Moving components such as fans and pulleys present unique dangers, especially when they are part of larger units. The many sharp edges and components of an HVAC unit present multiple risks of cuts, punctures, scrapes and other dangers. Environmental/Exposure Risks. The chemicals used as refrigerants can be a danger to personnel, especially when working with larger and older systems that have developed leaks. Another major factor is the issue of asbestos exposure, often a concern in the same older facilities. Fatigue-related Issues. Each of the other risks listed here are magnified by the factor of fatigue and complacency. It is possible to execute a dangerous connection or other operation hundreds of times and then make a critical error at some point because of fatigue or inattention. Many HVAC installations are made under tight deadlines to meet construction schedules and this increases the chance for a team of installers to be worked to a point where such accidents are more likely. The other side of this issue is complacency, or executing a dangerous step so many times that there is a loss of appreciation for its inherent danger. Safety Violations. Many accidents occur when one person is injured because another breaks a standard safety procedure, such as removing an interlock or failing to properly secure tools when working at a height. Following safety rules is not just important for the individual, it is essential for protecting co-workers as well. Burns and related Injuries. The danger of working with extremely hot and moving components often exists when performing regular or emergency maintenance or repairs on installed equipment. This is especially the case when some parts seem to be off and cool while other components nearby are operating at extreme temperatures. The larger the installation being serviced, the greater the risk of misjudging the status of any one unit or component. Falls and Crushing Injuries. When installing or removing larger HVAC units, the work often involves use of third-party cranes and equipment. Workers have to pay special attention to their risks when working at heights or when moving multi-ton HVAC components. At Howard Air, we take the time to ensure every member of our professional team is knowledgeable about these risks and trained to avoid or manage them correctly. Our attention to safety keeps us on time and on budget while delivering a full range of HVAC services without compromise.